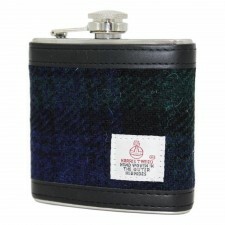 This Authentic Harris Tweed Hip Flask in blue check tartan makes a fantastic gift. 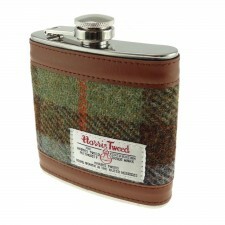 Presented in a Gift Box, this handily sized hip flask is perfect for storing a wee nip of your favourite tipple. 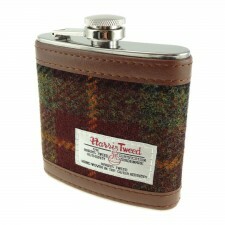 Authentic Harris Tweed tartan hip flask in a blue check tartan. 11.5cm(h) x 10cm(w) x 3cm(d).